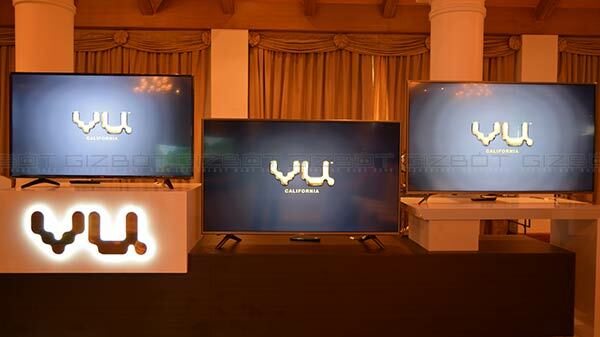 The Vu UltraSmart range comes in three sizes - 32-inch HD Ready which is priced at Rs. 14,500, 40-inch Full-HD at Rs. 21,999, and 49-inch Full-HD at Rs. 31,000. After launching four new Android 4K TV models for Indian consumers in March, Vu has launched a new lineup - the Vu Pixelight TV, Vu UltraSmart TV, and Vu Premium Android TV. The new TV range will be available on offline stores along with Flipkart from April 5. 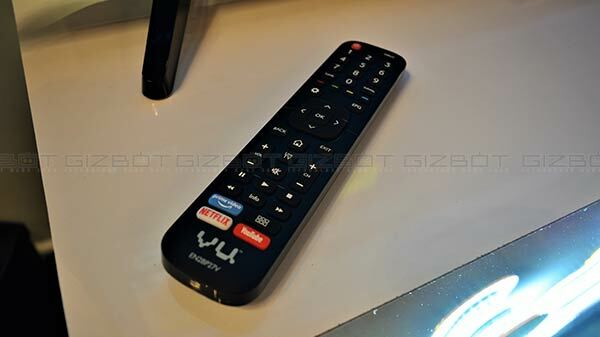 Besides, the company has also announced Vu VOD Upscaler technology with its Premium Android range of TVs. 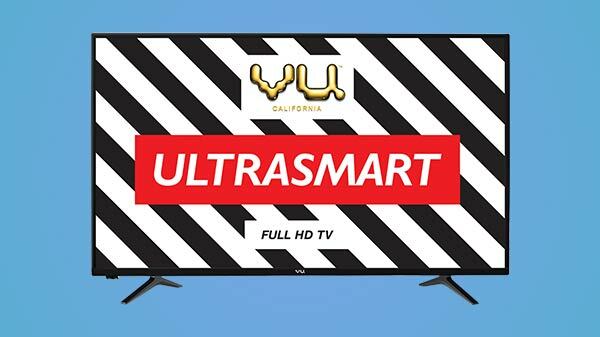 The Vu UltraSmart range comes in three sizes - 32-inch HD Ready which is priced at Rs. 14,500, 40-inch Full-HD at Rs. 21,999, and 49-inch Full-HD at Rs. 31,000. 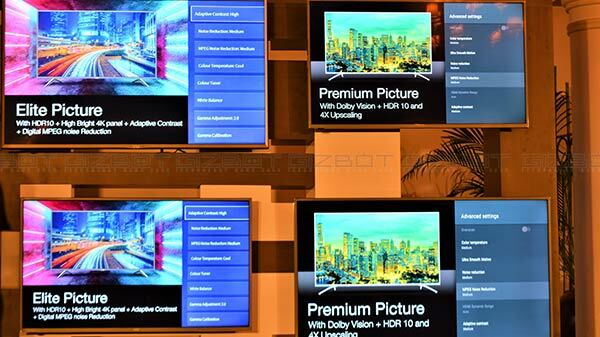 While the Vu Pixelight 4K range has four models - 43-inch costs Rs. 30,000, 50-inch is priced at Rs. 39,000, 55-inch at Rs. 42,000, and 65-inch at Rs. 66,000. The company has launched four models in Vu Premium Android TV range i.e - 43-inch is priced at Rs. 35,000, 50-inch at Rs. 41,000, 55-inch at Rs. 47,000, and 65-inch model available at Rs. 72,000. 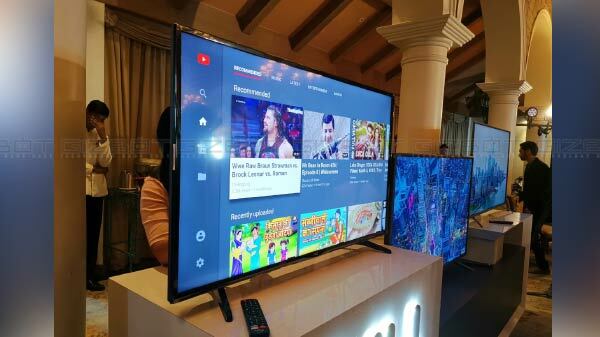 We were present at the launch event and got a chance to try our hands on the Vu UltraSmart TV for a brief period of time to find out what VU has to offer this time around. The newly launched UltraSmart TV comes in a plastic body and has thick bezels. It also has three HDMI ports (including 1 ARC port), and two USB ports, along with Bluetooth to connect wireless headphones or other Bluetooth devices. You also get Ethernet port at the back. There is also 3.5 mm audio jack at the rear panel and a Vu logo at the centre of the bottom panel. There's a feature called Digital MPEG Noise cancellation which provides a clear and sharp picture, as per the company claims. Overall the UltraSmart TV looks fairly designed at this price point. The UltraSmart TV comes with Fully HD TV display with a resolution of 1920x 1080 pixel. 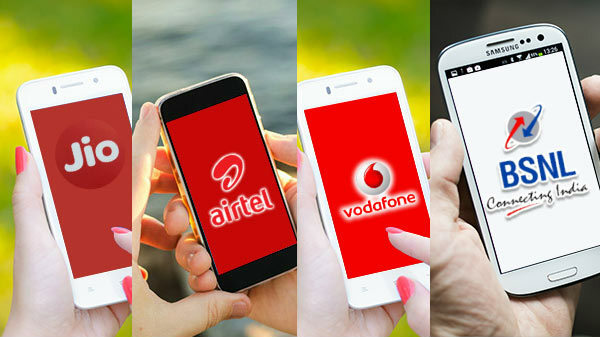 The company is also providing day and night mode, and sports mode. We played some content for a brief period of time and found the picture quality was good with an ample amount of detailing. The display is vivid and the graphics were rendered beautifully. The UltraSmart TV supports in-built Dolby, DBX-TV audio for a cinematic experience. The TV can get loud and is good enough for a medium-sized room. We will evaluate the audio performance in the coming days in our comprehensive review. On the software front, the newly launched TV comes with Pre-installed apps such as Netflix, Youtube, Zee 5, Hotstar, and Amazon Prime. In fact, there is no shortage of Indian content either as the company is also providing content from Eros Now and Hungama. It also has features like a sleep timer and parental control. Furthermore, UltraSmart TV has Digital MPEG noise reduction which ensures that the picture is always clear and sharp as per the company claims. The most impressive thing about the TV is its remote control. It has four inbuilt hotkeys such as Amazon Prime, Netflix, and Youtube. You just have to press any of the keys and the apps will launch in about two to three seconds. There is no doubt that the UltraSmart TV is loaded with features and keeps the price point check. The 32-inch HD Ready display enhances the overall viewing experience. However, specifications not always translate to good real-time performance and that's what we are eager to find out. Stay tuned on Gizbot for a detailed review of UltraSmart TV.